Everyone knows by now that living a sedentary lifestyle and eating unhealthy foods will lead to obesity and an increased chance of developing its related diseases. As the body packs on the pounds, metabolic problems, like high blood pressure and low levels of “good” cholesterol, accumulate, increasing a person’s risk of heart disease. While this can happen to anyone living this way, a new study suggests some people may be at a higher risk than others. Researchers led by Dr. Michelle Schmiegelow, a research fellow in the Department of Cardiology at University Hospital Gentofte in Denmark, found that postmenopausal black women faced a higher risk of heart disease than white women, despite having the same number of metabolic abnormalities. In addition to blood pressure and cholesterol, a higher waist circumference, elevated triglycerides, and impaired glucose metabolism all contribute to what’s known as metabolic syndrome, a major risk factor for heart disease and diabetes. “It appeared that the cardiovascular disease risk was elevated in black women by the presence of only two to three metabolic abnormalities to a degree that would require four or more metabolic abnormalities among white women,” Schmiegelow said in a press release. 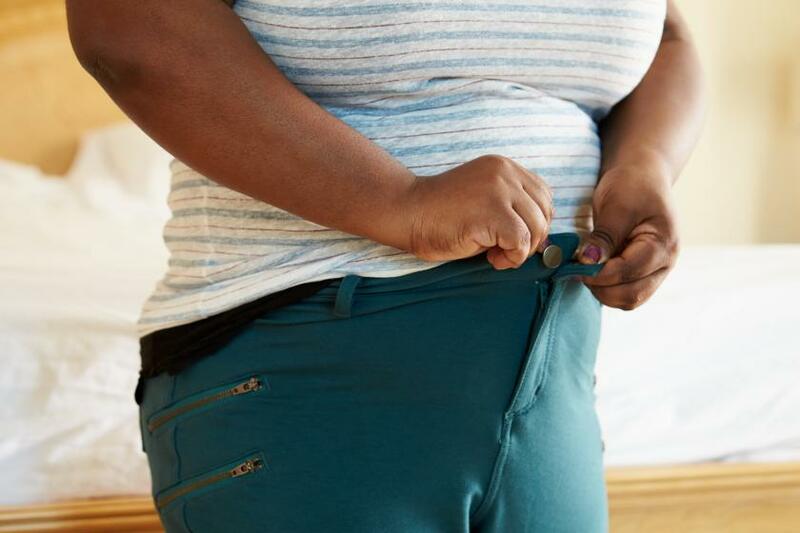 Obese black women with two to three abnormalities were at a 117 percent higher risk of heart disease than white women, while overweight black women were at a 77 percent higher risk. Meanwhile, obese white women with two to three abnormalities faced a risk similar to that of healthy weight white women. The research pulled data from the Women’s Health Initiative, a national study of 14,364 postmenopausal women aged 50 to 79 that includes their metabolic health statuses and weight classifications. Out of the group, 47 percent of the women were white, 36 percent were black, and 18 percent were Hispanic (not enough Hispanic women had cardiovascular events to be included in the study). They defined overweight as about 10 percent over ideal body weight and obesity as 30 pounds over ideal weight. The researchers didn’t give a reason for why black women’s risk was higher. In general, though, blacks are already at a higher risk of heart disease, diabetes, high blood pressure, and other diseases affecting metabolism and the cardiovascular system. The American Heart Association notes that blacks may carry a gene that makes them more sensitive to salt, increasing risk of high blood pressure — this would also affect their cholesterol. Other environmental factors may also influence their risk of obesity and subsequent disease, such as socioeconomic status and even racism. With these results, the researchers called for a heightened awareness of these disparities in disease risk, and said an individualized approach would work better for treating women with metabolic problems. The AMA also recommends obese people participate in medically supervised weight loss programs two to three times a month for six months. Committing to healthier eating and exercise could lead to permanent, positive lifestyle changes. Source: Schmiegelow M, Hedlin H, Mackey R, et al. Journal of the American Heart Association. 2015.